As northern Bergen County transformed in the 1940s and ‘50s from sleepy, largely white and Christian suburbs to towns and villages of greater diversity, more Jews sought to make their homes here. While the neighbors weren’t always welcoming, in fact, a local Jewish fraternity was forming with its own plan to strengthen Jewish life and identity in Ridgewood and neighboring communities. Many of these earliest Jewish residents of the area also owned businesses in town and were determined to band together to protect their economic interests and elevate their social standing. Thus was born the Brandeis Men’s Club, whose first president, Alexander Puritz, served the club in 1940-41. A short time later, the women decided to form their own social group, with Zena Black stepping into the role of Sisterhood’s first president in 1944-45. These pioneering families created a remarkable foundation for northwest Bergen County Jewry to worship, socialize and educate their children. It wasn’t long before word of the Men’s Club and Sisterhood success began to spread, and in 1952, the village, home to 17 churches, approved the creation of its first Jewish congregation. 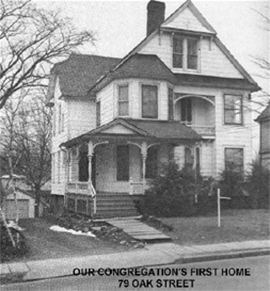 About 60 families proudly established the Jewish Community Center of Ridgewood at 79 Oak Street, dedicated to the promotion of Jewish social, civic, educational and religious interests. They elected Stanley Knauer the first president, for a one-year term, 1952-53. By 1958, the JCC of Ridgewood had outgrown its small space and was seeking to build a new larger facility on property it had purchased on Grove Street, its present site. 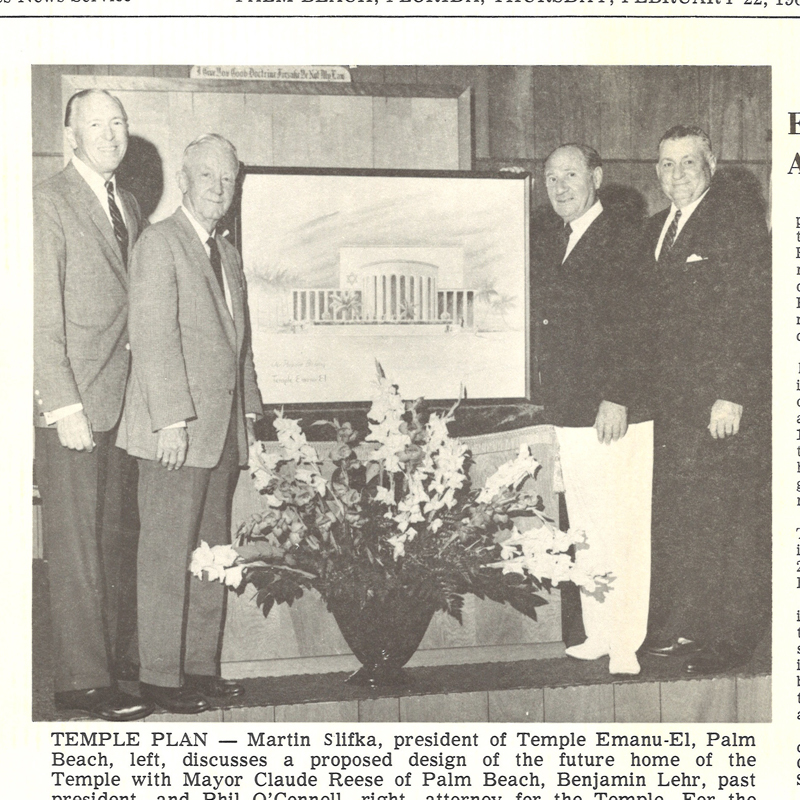 The building fund campaign launched in 1959, and by 1961, the newly named Temple Israel and Jewish Community Center was open for business, serving its 126 member families. The congregation was among the first in the Conservative movement to embrace egalitarian worship, shortly after the Committee on Jewish Law and Standards approved the inclusion of women in prayer minyanim in 1973. Temple Israel also endorsed driving to synagogue on Shabbat and festivals when the movement’s legal authorities rendered that decision in 1950. Today, Temple Israel and Jewish Community Center has grown into a vibrant congregation of several hundred, housed in a spacious and modern facility, most recently expanded and renovated in 2001. Affectionately known among the membership as “the synagogue that never sleeps,” it has become a hub of activity seven days a week, with multi-generational programming and services. Our traditional Conservative egalitarian services are energized by the enthusiasm and commitment of lay participants, youth and adult, guided by the spiritual leadership of Rabbi David J. Fine, PhD and Cantor Caitlin O’Sullivan Bromberg. The most recent innovation to our spiritual program is the incorporation of music into Friday night services several times a month in a manner fully respectful of Jewish law and custom. Children may also opt for one of the several age-appropriate programs offered on designated Shabbatot. Lifecycle events, like the celebration of bar and bat mitzvahs, baby namings and brit milah, ufrufs and weddings, are occasions for exceptional communal pride, as are special Shabbatot that highlight the ritual skills of diverse segments of the congregation: Sisterhood; Brandeis Men’s Club; Youth; and others. There are no strangers at Temple Israel. We engender a sense of belonging through an extensive calendar of activities, classes, lectures, discussions and other educational opportunities, as well as frequent social gatherings that feature music, dancing, sports and more.